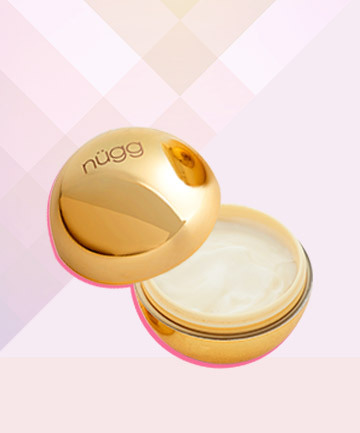 Nugg All Natural Hydrating Lip Mask, $8.99 One-hundred percent natural, vegan and free of parabens, synthetic fragrances and colors (always nice for something you're putting on your mouth), this lip mask hydrates with shea butter and coconut oil, and uses licorice root extract to plump. Leave it on for up to 20 minutes before swiping on lipstick (wipe off any excess before applying), or use it as an overnight treatment. And how cute is the gold packaging?